Logan is a stay-at-home bunny – but he’s about to discover how brave he really is. It’s time for his first adventure, and he doesn’t want to go. But there’s an amazing world outside, if he can just pluck up courage to look . 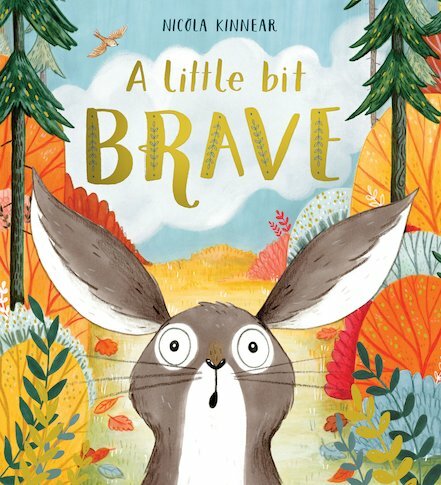 . .
A LITTLE BIT BRAVE is a funny, reassuring picture book which shows that we’re all a lot braver than we think. Nicola Kinnear is a fabulous new talent – Scholastic are thrilled to be publishing her début picture book.